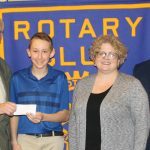 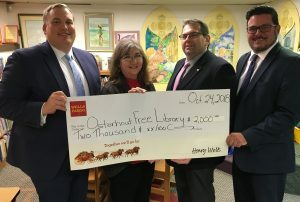 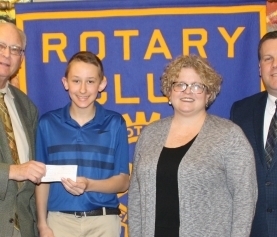 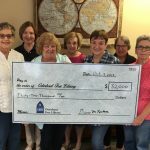 Wilkes-Barre, PA – The Osterhout Free Library recently received a $2,000 grant from the Wells Fargo Foundation. 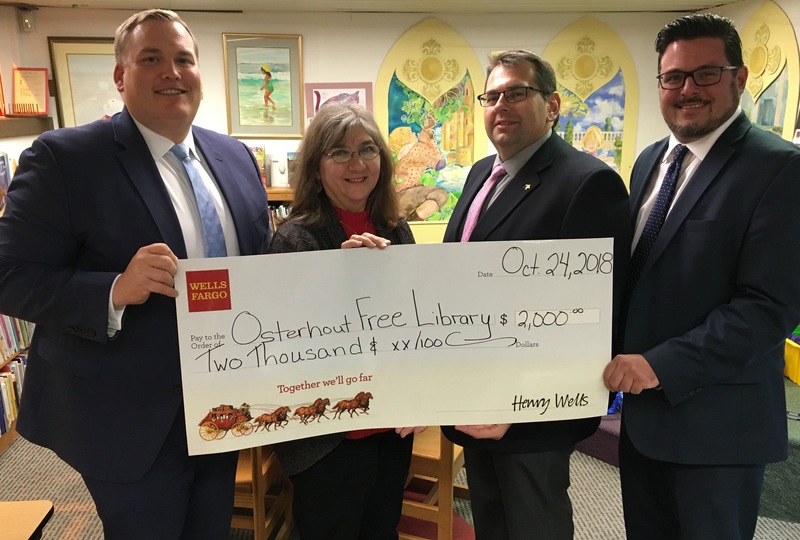 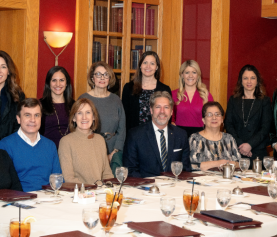 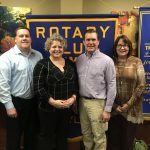 The funds will be used for the Osterhout’s early childhood literacy program. 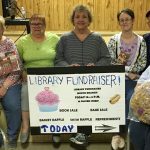 The children’s department is able to provide children with regular story times and special LAPTOTTS classes, where children learn how to use computers for education and entertainment. 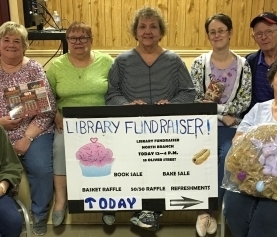 The Osterhout Free Library’s mission is to provide free books, DVDs, Blu-rays, CD’s and educational programs to the residents of Wilkes-Barre and surrounding communities. 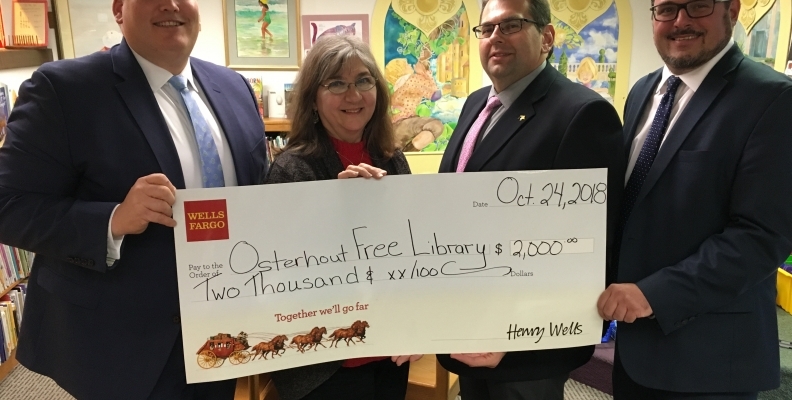 Visit www.osterhout.info to learn more about the programs and services the Osterhout Free Library offers the community.